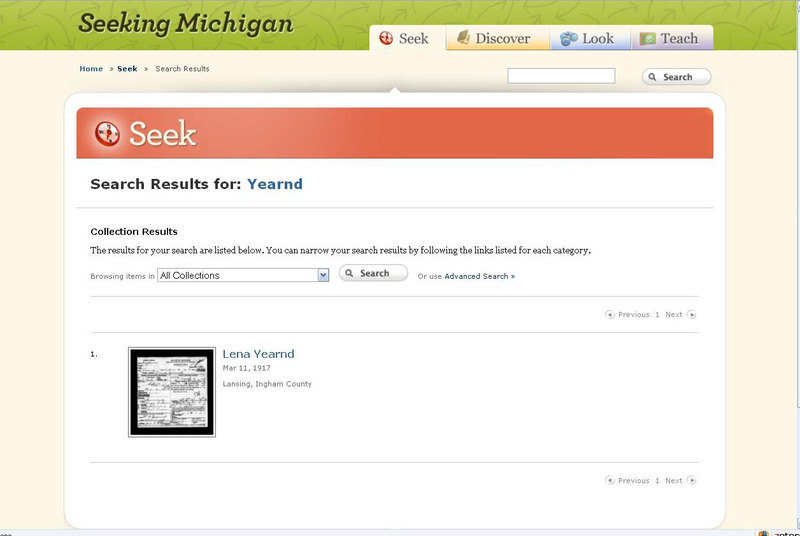 I had a few minutes today, and I spent it looking for family death on Seeking Michigan. 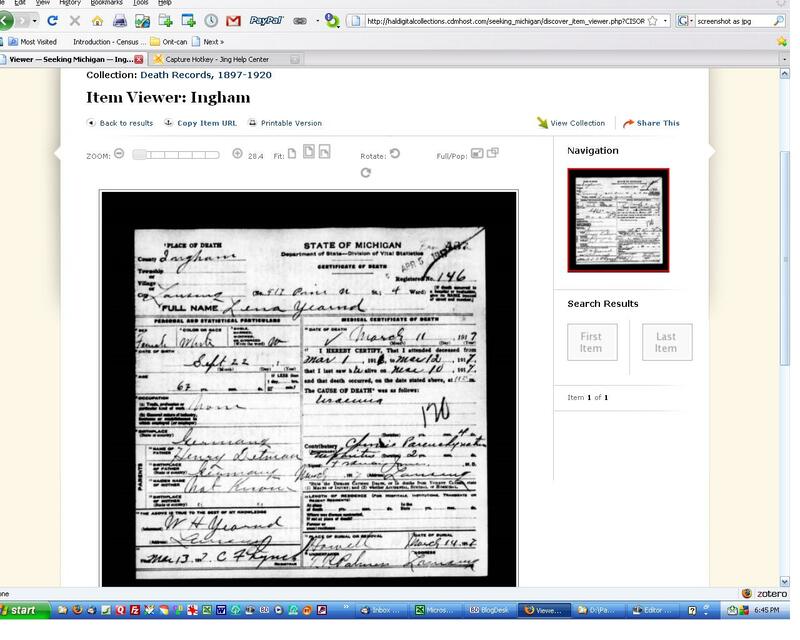 I had copied the information from a ledger at the Ingham County court house, but I wanted the certificate. 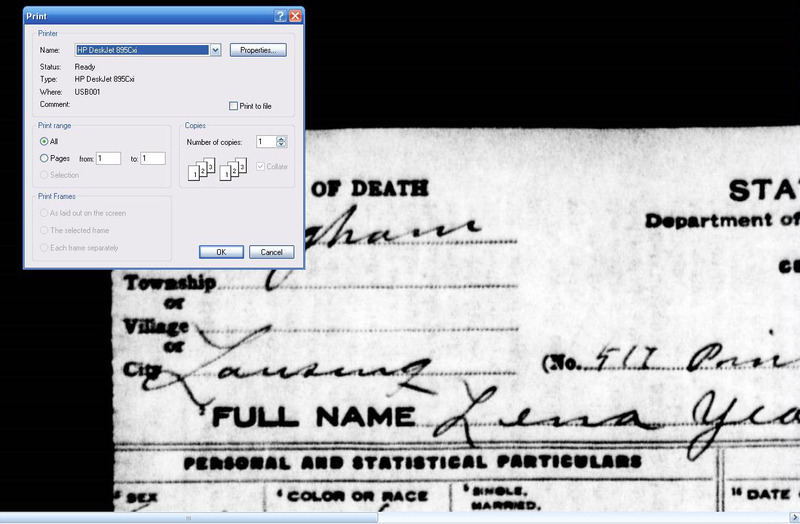 This explains how I managed to print the image without the big thick black border, and save the image to attach to my genealogy program. All of these images are thumbnails, you may click to enlarge. 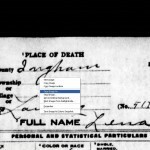 Lena Yearnd/Yournd died in 1917. 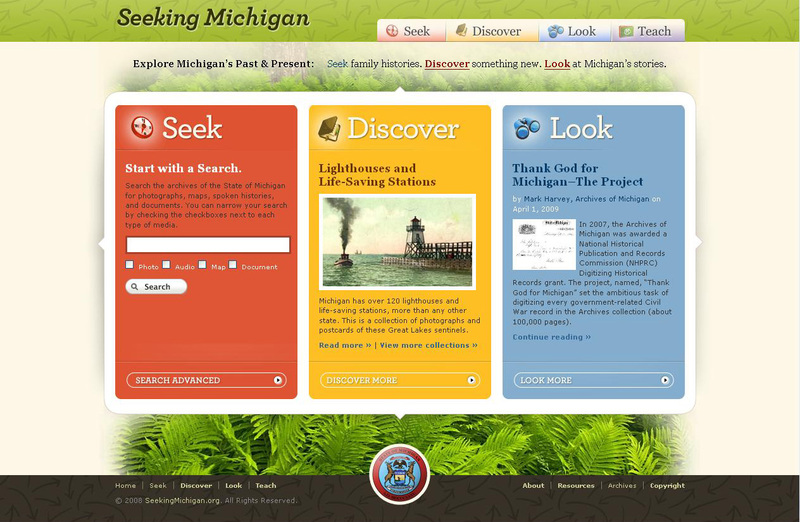 I went to the website at www.seekingmichigan.org. I was able to enlarge the image, and look at all the sections, a larger preview. I clicked print, and the resulting image was exactly as shown on the screen, with the black background. 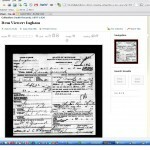 I decided to do what I have done previously with images from Ancestry and other sources. Then, I just clicked “Cancel”. The result was a screen show of the certificate. Then I right clicked on the image and selected “Copy image”. Then I opened the image in my photo editing program, pasted the image in, cropped off the black border, and saved it again. 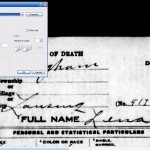 The resulting image can be printed without the black border. 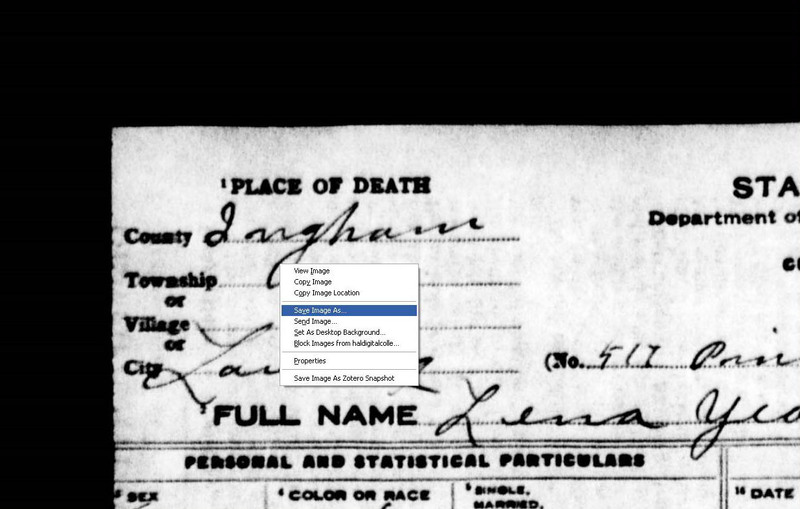 I need to find the death records for my grand father, His name was Jay Anthony Holton, not sure when he was born, but he died in 1943 or 1947. How can I find this record? 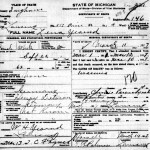 Mary, in Michigan for the years between 1943 and 1947, you would go to the clerk in the county where the death occurred. 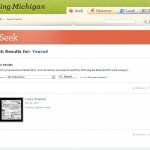 You can find the procedure for contacting the clerk by linking to the proper county from this directory: http://www.michigan.gov/mde/0,4615,7-140-54574_18635_20736—,00.html. If you don’t know the county of death, is is possible to write to the the state, however the fee is higher than if you contact the county. 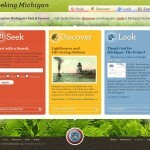 Here is the link for that: http://www.michigan.gov/mdch/0,1607,7-132-4645—,00.html. 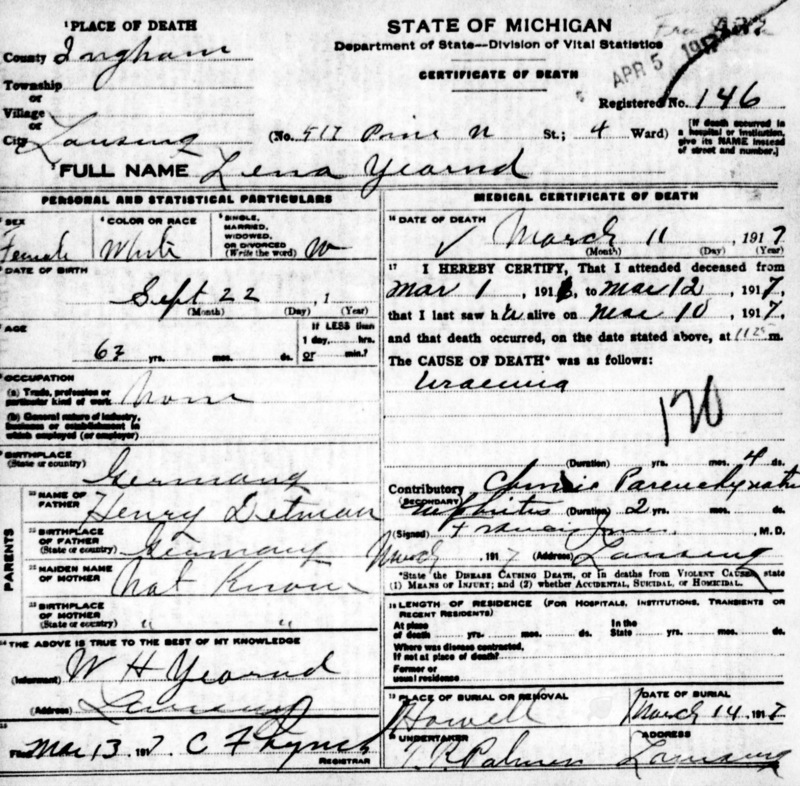 Family search.org has the Michigan death records for that time, have you checked there? you can also right click on the outer edge, use the pop up option of save image as,,( I usually just save it to my desktop) I thin can edit it in my photo program (straighten and remove edges) then I can add it to the tree, print it or save it to the proper file. Yes, that is another way. Thanks for reading and commenting!